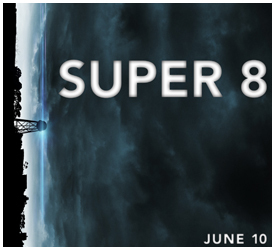 Super 8, for me, is another lesson on expectations. Written and directed by J.J. Abrams, produced by Steven Spielberg—this movie had pedigree. You know what it also had? An ending that you will either love or hate. I’m still undecided on which end of the spectrum I fall on. For all intents and purposes, Super 8 is a monster movie. But it’s one with a lot of heart. And it’s the heart that I’m really having a problem with. I mean, I don’t have a problem with dramatic moments in monster movies. As two characters discuss in the movie, you only care that people get out alive when you care about said people. And it’s true. But at the same time, a viewer doesn’t forget that he or she is watching a monster movie. And when the dramatic moments take up too much time, viewers start to get restless. I watched Super 8 with my family, and I could see them struggle to like the film. It wasn’t until later in the movie that they started to get into it; when the creature had really started going all out. As for me, I liked the quiet moments at the start of the film. Though, I do think the movie took its time in establishing the problems of the main character’s family, and not spend as much time in unraveling it. I liked the closure the movie gave this particular story thread—but I’m still iffy about the process the involved parties went through to get to that moment of closure. But when we actually do come face to face with the creature, I couldn’t help but feel a slight disappointment at how the confrontation went down. I don’t know how to make the scene better. I’m not saying I do. But I felt as if there was something more that could’ve been done to the scene to give it more impact. The entire journey up to that point was exhilarating, thrilling, even nerve-wracking. And then, during the confrontation scene, it suddenly shifts in tone. Honestly, I was expecting a different outcome to that scene. It probably didn’t help that the monster reminded me a lot of the one from Cloverfield. Overall though, I think Super 8 is a good film. Not a great one. Now that I’ve mentioned Cloverfield, I can say that I liked that one better. What I did like about Super 8 though was the coming-of-age story it had with our main protagonists: the kids. That was really handled well. Have you seen Super 8? What did you think?